It’s old news by now – 2012 – but supercute. Did you know some rescues won’t adopt to people who plan to train their pups as working dogs? Because it is mean; you can see how Kos is suffering. 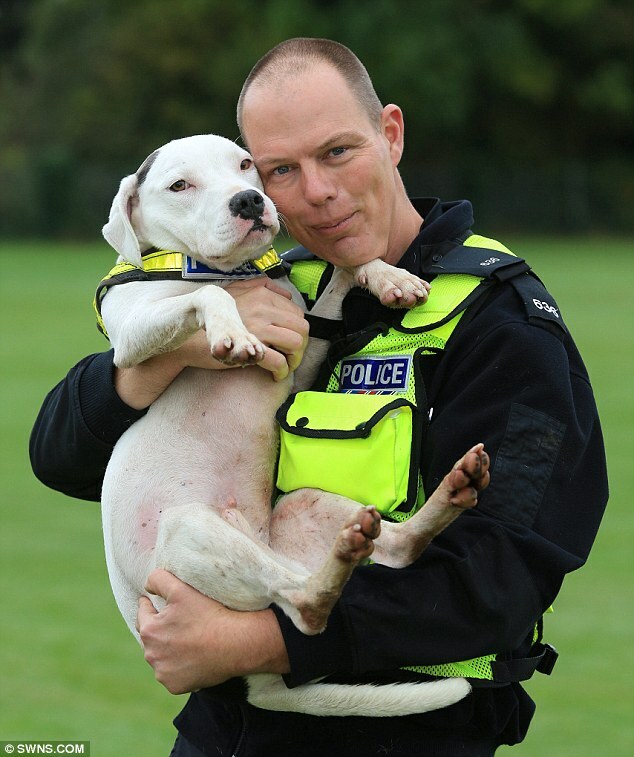 RSPCA foster person Sue Dicks recognized Kos’ super sniffing skills and alerted Avon and Somerset Police dog handler PC Lee Webb, who is a total sap for a puppy. Er, recognized untrained ability when he saw it. Says this wise man, “Kos is the gentlest and kindest of dogs. He’s always been very playful and he absolutely loves the game of searching.” Check out way more pics of these fellows, and a video, at the Daily Mail.